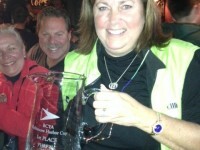 Eastern Marine Services Inc and Accudock… a winning combination! 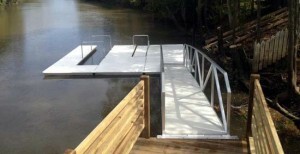 Accudock systems are the finest floating pier systems in the world. The applications include everything from private residences to marinas and even commercial and military use. Eastern Marine Services is a stocking dealer of 4×8 and 5×8 Work Floats and sells, installs and services the entire Accudock line of products. 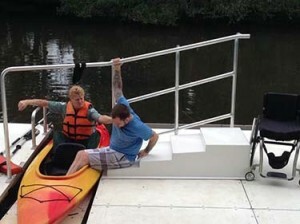 Accudock water sports packages include easy to use Kayak and Paddleboard docks and supports for getting on and off your gear! 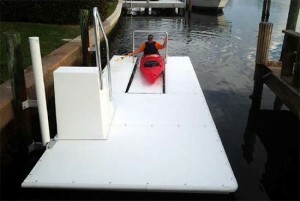 Accudock offers work floats that are useful for anyone working on the water. 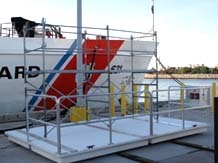 Accudock boarding ladders can be used virtually anywhere. 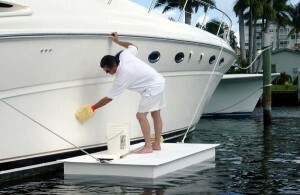 Accudock commercial platforms tackle even the toughest jobs. This is just a small representation of Accudock products. 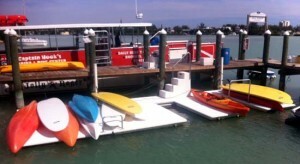 Visit the Accudock website to view the complete line of available products or stop by our showroom for assistance. Shall be located in the channelward 50% of the pier as measured from the mean high water line to the landward edge of the platform. MDE does not usually authorize floating platforms that will rest on the substrate during any phase of the tidal cycle so a cross section showing it’s position at Mean High Water and Mean Low Water(MLW) in relation to the substrate is required but generally if there is less than 2-feet of water at MLW we will ask the floating be platform to be relocated. When calculating total area our regulations require us to include the section of main pier adjacent to the platform as part of the total platform area. You can always contact us if you have any questions about how we are calculating platform area. Please stop by the showroom or call as at 443-730-0300 for a free on-site consultation and estimate for your project. You may also fill out this contact form for your project. Please allow up to 48 hours for one of our sales representatives to contact you.